Over the past 16 years of the existence of the current Miami Marathon, there was only just over 90 athletes who had run every single event. 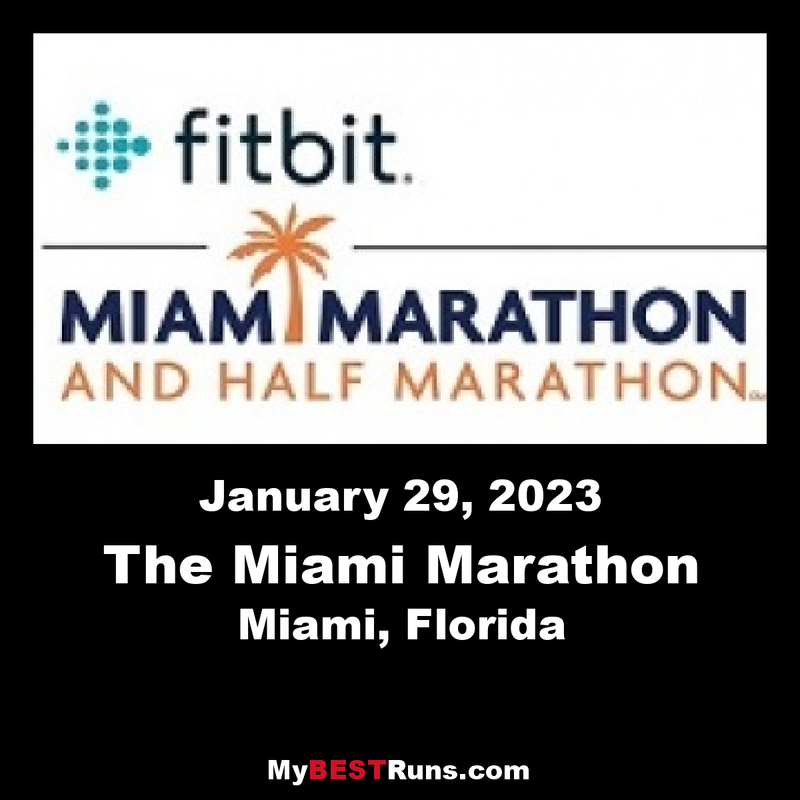 Before the inception of the Miami Marathon as we know it now (est. 2003), the race was originally known as the Orange Bowl Marathon which began in the late 1970s. One of our very own 16-year #MiamiFamous loyal runners, Kenneth Royster, has run every single marathon held in Miami. Yes, that means he has run every Miami Marathon held during the past 40 years – that’s what you call Miami loyalty! A retired airline pilot from Miami, Royster started running in 1974 and has completed close to 100 marathons since his debut to the sport in 1977. He has completed numerous events across the country – 5Ks/10Ks, marathons, 50K trail races and about every distance in between. Back in the late 70s/early 80s, the medals resembled more of a coin shape (usually with no date) instead of the medal and neck ribbon type of award we see today. Check out how the name has changed over the years! Today the Fitbit Miami Marathon attracts over 20,000 runners from over 70 countries and all 50 U.S. states. Going on to the 17thyear of the event we know today, race organizers are diligently planning to make 2019 even bigger and better than prior years. We are happy to welcome back Kenneth and his fellow #MiamiFamous loyalty runners back for their 17thconsecutive partaking in the event, as well as many more veteran runners and first-timers! The course is a USTAF-certified, flat, single-loop and Boston-qualifying course. There are several bridges along the course with a very slight incline. The bridges are being held in the closed-to-vessel position for the duration of the race. Digital time clocks will be positioned throughout the course. Course markers, directional arrows and other signage will be positioned throughout the course. Several digital clocks at the finish line will display unofficial times. The full and half marathon will feature entertainment along the course for both spectators and runners. If you signed up for the full marathon and you decide to run the half marathon, you will receive a full marathon finisher’s medal. Please line up in the Start Line area according to your corral listed on your race bib.